I am always impressed and over-whelmed when I read a book about someone who perseveres through almost unsurmountalbe odds and flourishes. "Carry On" is a book which will warm your heart and bring tears to your eyes. The two young boys retain their spirit and laughter no matter how dire life may become, or how many obstacles get in their way. A fantastic book! I recommend it to everyone! I am always impressed and over-whelmed when I read a book about someone who perseveres through almost insurmountable odds and flourishes. 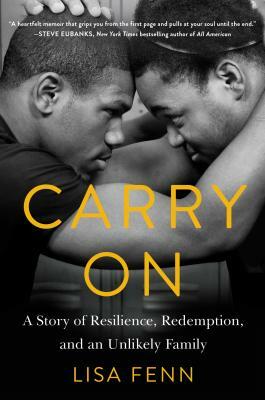 Carry On is a book which will warm your heart and bring tears to your eyes. The two young boys retain their spirit and laughter no matter how dire life may become, or how many obstacles get in their way. A fantastic book! I highly recommend it!